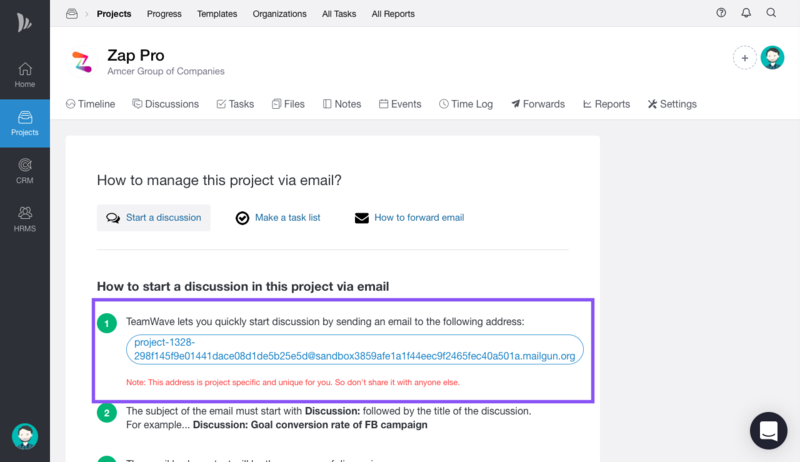 Discussions for a project can also be initiated with an email from your mailbox. 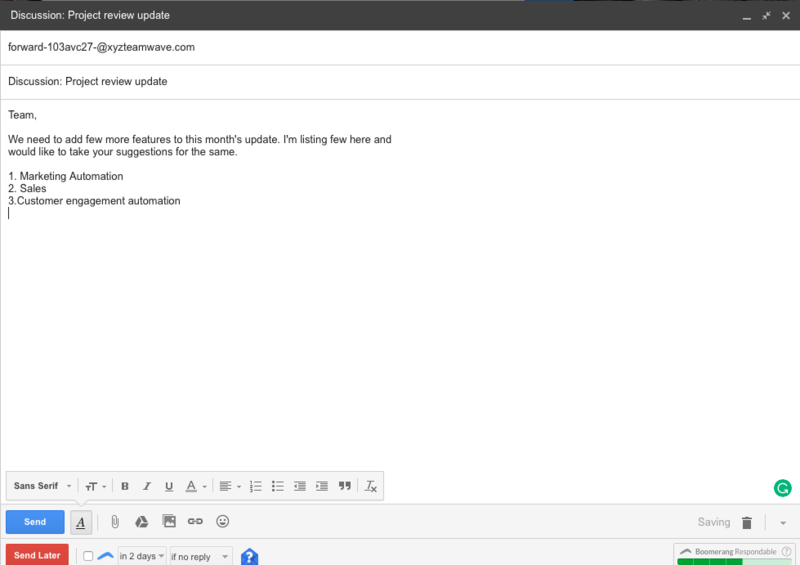 This gives the flexibility to leave a message without even logging into your TeamWave account. 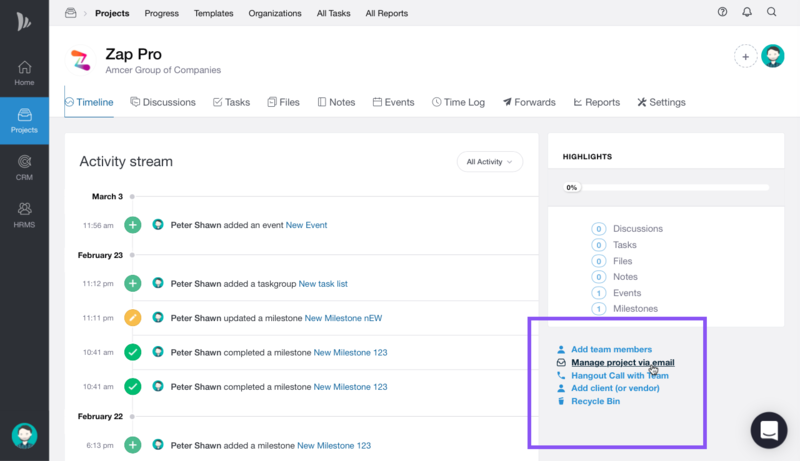 To initiate a discussion from your mailbox, first, you need to copy your project specific smart email address from Email Docs (Ref Pic 1.1 & 1.2) tab in that project. This address is project specific and unique for you.